Attractive one owner, three bedroom, two full bath Brick Ranch with a country view and city conveniences. 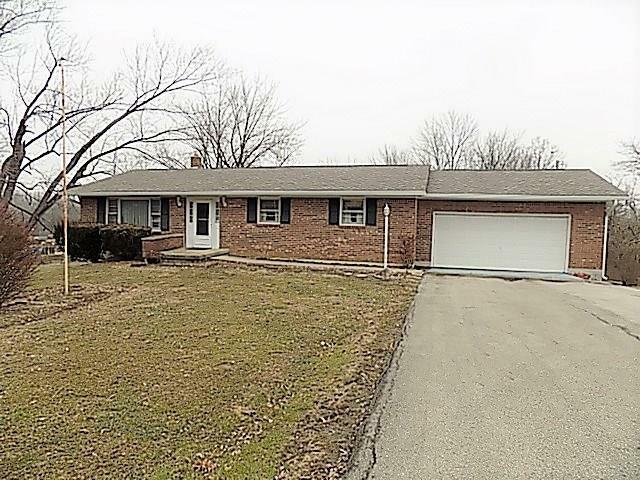 Home features a spacious living room, newer carpet, kitchen, w/ appliances, & separate dining rm. Hardwood under most of rooms. Full walk-out finished basement that exits to a nice deck a large back yard, basement has a small workshop and large open space that would be great for entertaining, or large recreation or family room, would make a great mother-in-law quarters. Two car attached garage, mini barn and plenty of room for a garden on this large lot. Newer roof, gutters & furnace. Location good for easy commute to Terre Haute, or Indy or I-70! Priced below appraisal.